Custom Industrial & Commercial Custom Sewing by Empire Products Inc. 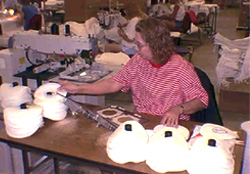 Empire Products has manufactured a wide range of sewn commercial products from small items to very complex assemblies. We have produced both long and short production runs for both large and small businesses.